Smile! This is our motto, our personal way to welcome and to assist you at 360° for a safe vacation in Amalfi. You can trust us, our goal is to make you feel safe between friends and people who are there for you 24/7. 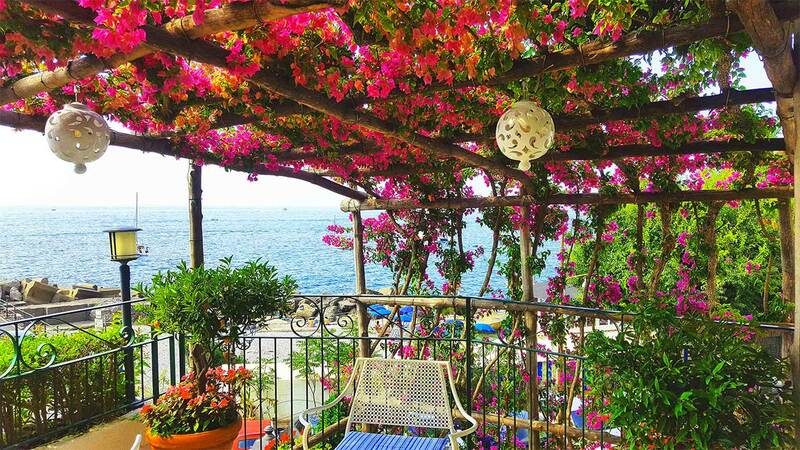 The welcoming atmosphere of our Hotel in Amalfi is what you expect and deserve after a long journey: let yourself be soothed by our relaxing and intimate atmosphere! Andrea, the reception manager, arranges airport and station transfers, books tickets for concerts and local events to make your stay enjoyable from the moment you arrive. Walter and Simone give you all information about restaurants and guided tours. Luca, the night receptionist is always available and is happy to help you in every way he can. Daniela is the historical memory of an ancient family of hoteliers who has been running hotels for 200 years. 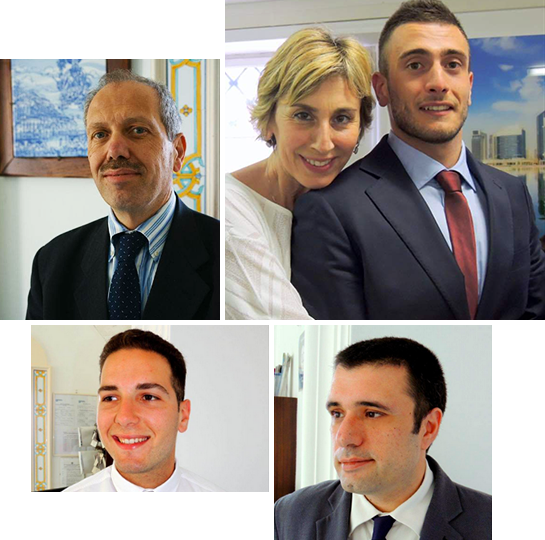 She coordinates and supervises always in the background and she is ready to pass the challenge of innovation to Enrico, the new generation, to carry on with the solid roots of the traditional hospitality of Amalfi. 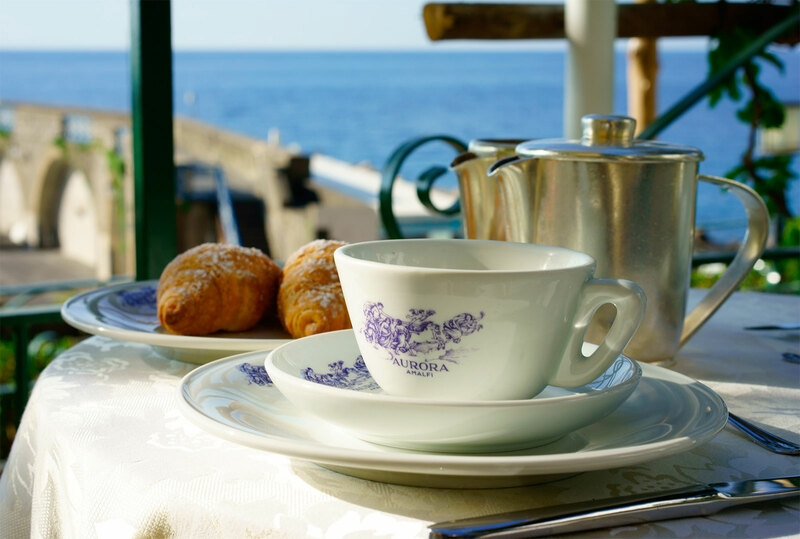 Our guests can enjoy a relaxing “al fresco” buffet breakfast on the terrace overlooking the bay, shaded by bougainvillea and surrounded by Mediterranean pine trees. Have a good start to your day with delicious pastries, homemade cakes, a wide range of jams, fruit juices and yogurts (as well as bacon and eggs!) between 7:30 and 10:00 am. Our buffet includes also gluten-free food to meet special dietary needs. Hotel aurora offers a little corner of paradise: a stoney beach just in front of the hotel well equipped with sunbeds and beach umbrella. 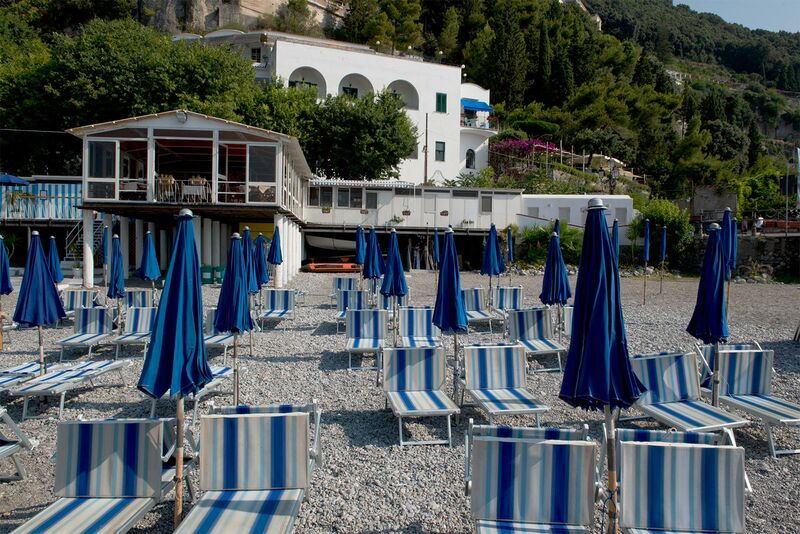 Clients walk 40 metres to the Lido delle Sirene to get the hotel’s private beach. Our Beach is available at an extra charge; it has limited places so please book in advance. «Here is the garden that we always seek after the perfect places of childhood. A memory that occurs tangible above the abysses of the sea, suspended on orange tree leaves and sumptuous cedars in the hanging gardens of convents». On request we arrange a private transfer by car, limousine or minibus. Travelling time from Naples airport to Amalfi is about 1 hour and 30 minutes, from Salerno railway is about 50 minutes. Lounge Bar and Happy hour on our terrace because time passes fast when you are enjoying yourself. Surprise your loved one with a romantic treat served in our terrace garden or in your room as you prefer. All customers staying in our apartments are welcome to use the laundry room which includes a washing machine and dryer. The laundry use is free of charge. All hotel guests are offered the laundry and ironing service on request for an additional fee. If you cannot leave your work at home, our staff can help you! 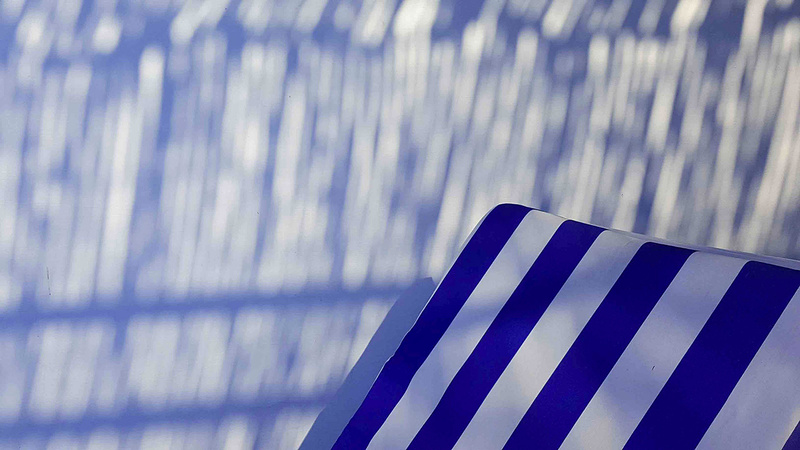 We are pleased to offer a range of secretarial services which include booking, fax and photocopying service on request. Wi-Fi connection is free of charge and available in common areas and in the rooms. Hotel Aurora offers a secure car park on the ground floor, connected with reception and rooms by elevator. 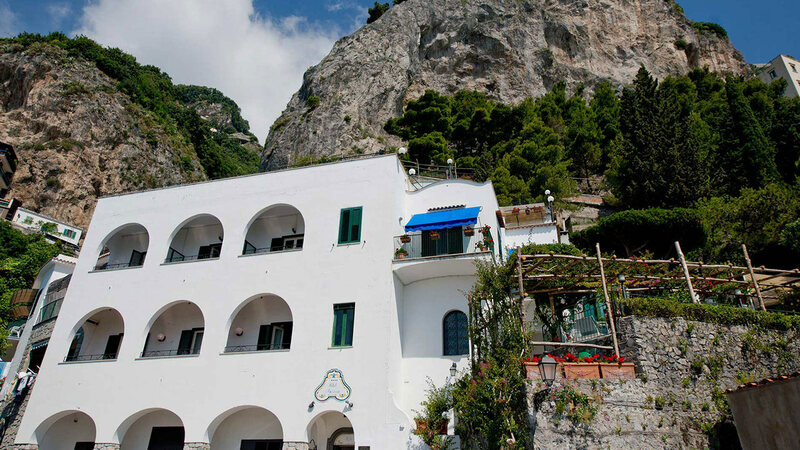 Clients will be able to leave a car safely and visit Amalfi by foot. City centre, bus station and wharf are just 500 metres away. Parking spaces are limited so the management kindly asks you to book in advance. Parking costs you 25 euros per car per night.